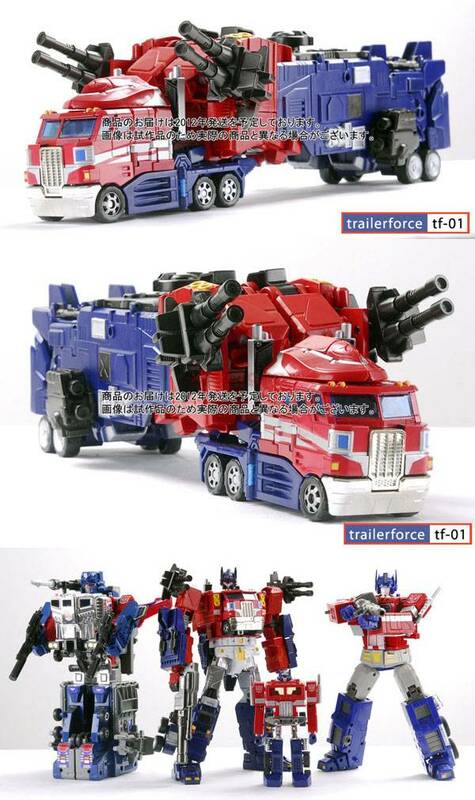 This great add on trailer is fully transformable and combines with your Henkei or Classics Optimus Prime as shown! 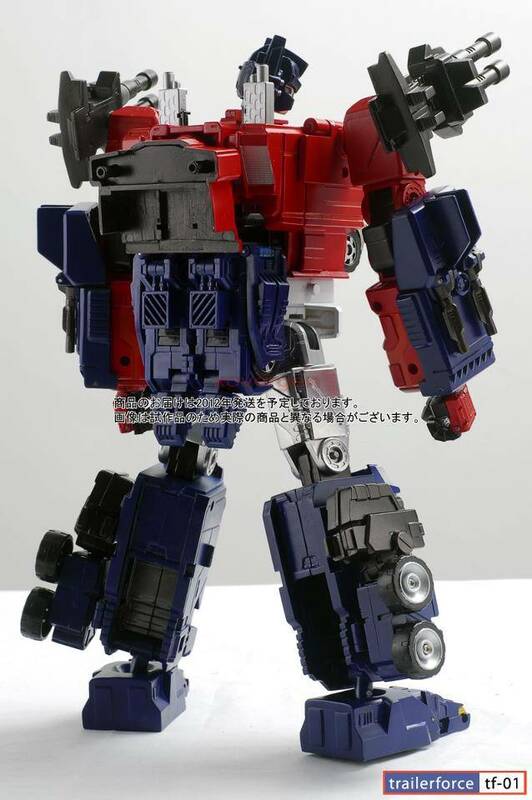 Note: Classics/Henkei Optimus Prime and other Optimus are sold separately. 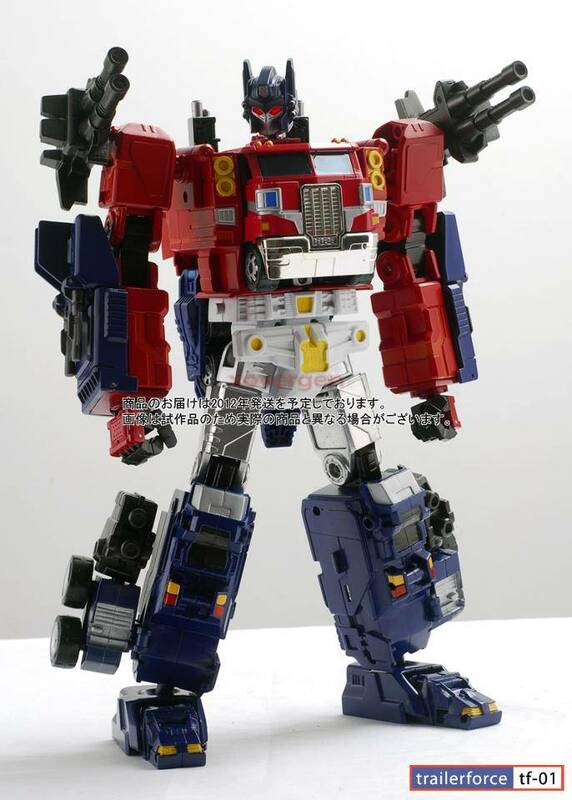 This is a 3rd party custom add-on kit, not affiliated with Takara or Hasbro. nice tight joints, the option to use 3 optimus modes was pure genius..here are my issues: the blue cab cover is too difficult to put on; as a matter of fact i actually broke a peg; if you do plan on or already have this apply the blue cover on 1st then bend the legs into position to pet them; it fits A LOT easier that way and you wont put too much stress on a weak part( i found this method after i broke mine). Also the leg guns are loose; the peg in tight but they also fold and the fold portion is loose. 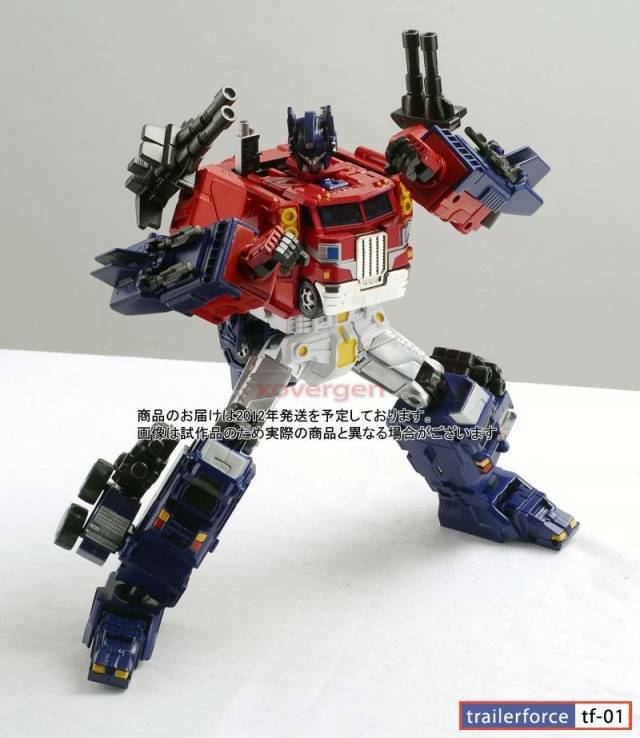 if you pay close to the picture on tfsourse you can see the blk leg guns leaning a little. besides these 2 things its a great model.. I recieved my XOvergen TF-01 Trailerforce set today and I love it. The figure is beautifully detailed, articulated and made of high quality materials. 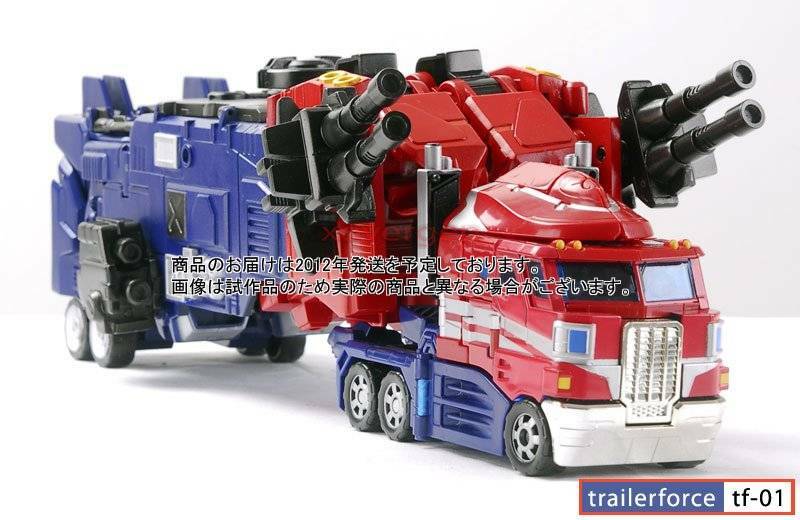 The only problem I have with it is the folding shell that covers the leg parts when you transform it into trailer mode. It doesnt seem to lock right into the pegs properly, and when I DO get it pegged, it seems to want to spread the legs apart and it makes it look awkward. If anyone knows of a fix I would love to hear it. I love this set too much to want to find any problems with it. But a great set all together. Thanks TFSource.